Draft: 2004, San Diego Padres, 1st rd. Matthew Brian Bush… married the former Mary Claire Johnston on 11/18/17…signed by Padres scout Tim McWilliams…batted .450 (55-123) with 11 doubles, one triple, 11 HR, 35 RBI and 12 SB in his senior season at Mission Bay (Calif.) High School, leading the Buccaneers to a 2nd San Diego Section Division III championship in 3 years… split his time between shortstop and the mound, where he compiled a 9-1 record with a 0.42 ERA (5 ER/66.0 IP) and 91 strikeouts as a pitcher...set several state records during his prep career at Mission Bay, including hits (211) and runs scored (196)...also finished with 24 career homers…was first team All-America as a senior and a second team selection following his junior season after batting .458 (54-118) with 8 HR, 34 RBI and 21 SB…named the Best Defensive Infielder and Best Arm among high school eligible players in Baseball America 's annual Best Tools survey of the top 100 prospects entering the draft. Despite being sidelined by a pair of health issues, still ranked 2nd on the staff in games (57), games finished (22), and saves (10) in his sophomore season…posted a 3.78 ERA that was over one-and-a-quarter runs higher than last year (2.48)… his 10.0 SO/9 was an improvement over his rookie season (8.9), but had higher BB/9 (3.3), HR/9 (1.2) and WHIP (1.452), with the WHIP figure being over 500 points higher than 2016 (0.941)… went 10-for-15 in save chances, with team-high 5 blown saves ranking T10th-most in A.L…served as club's primary closer from late April through end of June…converted 8 of 9 chances from 4/23-6/13, but was 2-for-last-5 in save tries, with last save chance being blown save on 6/30 at CWS…allowed runs in 2 of 1st 3 outings, then had a 0.00 ERA (2 R-0 ER/15.0 IP) over 16 outings from 4/16-5/30 to lower season figure to 0.96…final 38 outings beg. 5/31: 5.35 ERA (20 ER/33.2 IP), .297/.370/.493/.863 opp. slash with 6 HR allowed. INJURIES // Had an injection in his right AC joint on 4/12 and did not pitch 4/10-15…was on the disabled list from 8/21-9/9 with a right knee MCL sprain suffered in a collision with Joey Gallo while catching a popup on 8/20 vs. CWS. Spent the season with Double-A Montgomery and worked out of the Biscuits bullpen, going 5-3 with 5 saves...Posted a 13.8 SO/9 IP ratio with 77 SO in 50.1 IP...his 77 SO ranked 3rd among Southern League relievers...recorded multiple strikeouts in 23 of his 36 apps...had 3 or more strikeouts in 12 of his 36 apps...Had a 3.04 ERA (23.2-IP, 8-ER) with 35 SO and only 9 BB after the All-Star break (17 apps)...had a 6.41 ERA (26.2-IP, 19-ER) with 15 BB before the All-Star break (19 apps)...Recorded 4 or more outs in 19 of his 36 apps...Finished the season on a streak of 8 straight scoreless apps (11-IP), recording 20 SO in that span. Spent the season with Class-A Charlotte butwas limited by injuries to 10 appearances -6 with the Stone Crabs and 4 with the GulfCoast League Rays on a rehabilitation stint. ...pitched to a combined 3.37 ERA (13.2-IP,5-ER) with 20 strikeouts and 3 walks. ...Has fanned 42 percent of the batters (36 of 86)he has faced since converting from shortstopto pitcher in 2007...has averaged 15.19 SO/9IP (21.1-IP, 36-SO) in his career. ...Began the season at the Rays extendedspring training camp ... assigned to Charlotteand made his debut on April 29 vs. St. Lucie(Mets) ... it was his first game action in nearlythree years ... fanned the first two hitters thenallowed a home run, the only homer he has allowedas a pro. ... Held opponents to a .173 average (9-for-52) ... his longest outing was 2 innings, twice,matching his career high...earned a GCL winwith 2 scoreless innings over the Twins on Aug10 ... saved Charlotte's 1-0, 12-inning win overDaytona (Cubs) on June 4. ... Spent a month on the DL with right arm soreness, missing the majority of May ... after the season underwent surgery on his right radial nerve (upper arm) by Dr. Koco Eaton in St. Petersburg ... in addition, spent nearly 2 months (June 20-Aug 14) on the DL with a left oblique strain, and appeared in 4 games with the GCL Rays on a rehabilitation assignment before his return to Charlotte. December 21, 2018 RHP Matt Bush assigned to Nashville Sounds. December 17, 2018 Texas Rangers signed free agent RHP Matt Bush to a minor league contract and invited him to spring training. November 30, 2018 RHP Matt Bush elected free agency. November 2, 2018 Texas Rangers activated RHP Matt Bush from the 60-day disabled list. July 8, 2018 Texas Rangers transferred RHP Matt Bush from the 10-day disabled list to the 60-day disabled list. Right elbow strain. June 15, 2018 Texas Rangers placed RHP Matt Bush on the 10-day disabled list retroactive to June 14, 2018. Right elbow strain. May 21, 2018 Texas Rangers recalled RHP Matt Bush from Round Rock Express. April 25, 2018 Texas Rangers optioned RHP Matt Bush to Round Rock Express. September 10, 2017 Matt Bush roster status changed by Texas Rangers. August 21, 2017 Texas Rangers placed RHP Matt Bush on the 10-day disabled list. RIght MCL sprain. May 13, 2016 Texas Rangers selected the contract of RHP Matt Bush from Frisco RoughRiders. March 23, 2016 RHP Matt Bush assigned to Texas Rangers. December 30, 2015 RHP Matt Bush assigned to Frisco RoughRiders. December 18, 2015 Texas Rangers signed free agent RHP Matt Bush to a minor league contract. October 5, 2012 Tampa Bay Rays released RHP Matt Bush. March 30, 2012 Tampa Bay Rays placed RHP Matt Bush on the restricted list. March 18, 2012 Tampa Bay Rays optioned Matt Bush to Durham Bulls. October 1, 2011 Matt Bush roster status changed by Tampa Bay Rays. September 7, 2011 Matt Bush assigned to Durham Bulls from Montgomery Biscuits. September 7, 2011 Durham Bulls activated RHP Matt Bush. September 5, 2011 Matt Bush roster status changed by Durham Bulls. March 11, 2011 Tampa Bay Rays optioned Matt Bush to Montgomery Biscuits. November 6, 2010 Tampa Bay Rays selected the contract of Matt Bush from Charlotte Stone Crabs. September 14, 2010 Matt Bush roster status changed by Charlotte Stone Crabs. August 20, 2010 Charlotte Stone Crabs placed RHP Matt Bush on the 7-day disabled list. August 14, 2010 Charlotte Stone Crabs activated RHP Matt Bush from the 7-day disabled list. July 29, 2010 sent RHP Matt Bush on a rehab assignment to GCL Rays. June 1, 2010 Charlotte Stone Crabs activated RHP Matt Bush from the 7-day disabled list. May 7, 2010 Charlotte Stone Crabs placed RHP Matt Bush on the 7-day disabled list. April 28, 2010 RHP Matt Bush assigned to Charlotte Stone Crabs. 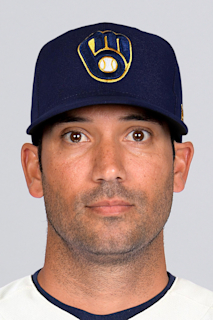 January 25, 2010 Durham Bulls signed free agent RHP Matt Bush.